Keeping the temperature of your home consistent and optimal makes all the difference when it comes to comfort. Whether you're sweating during a hot summer or shivering with the winter winds, Excellent Air Conditioning and Heating Services, Inc. will help get your home's heating and cooling system back on track. Whether your heating and/or air conditioning system needs repair, service or installation, Excellent Air is there to get the job done right the first time. As your heating system is operating at full force, Excellent Air ensures your health and well-being. As fall turns to winter every year, heating systems turn on and gas bills rise steadily. This year, prepare for the cold weather ahead by having Excellent Air Conditioning and Heating Services, Inc. safety-check your Long Island heating system before it's time to use it. Whether you have a boiler or use a forced-air system, we'll use our testing equipment to ensure your system is operating at peak efficiency. Our heating services also include installations, boiler repairs, efficiency analyses, carbon monoxide tests, and more. At Excellent Air, we take service very seriously, so you can rest assured that the job is done right. Gas heating systems may produce dangerous levels of carbon monoxide (CO), an odorless, colorless, tasteless that is toxic to humans and animals. We will test the CO levels in your home and take any necessary steps to reduce them. We perform a complete digital combustion analysis of your system. You'll receive a complete printout of the results, including the efficiency percentage of how your system is operating. Heating start-up and service is not just some guy who comes around, turns on your system, looks at the unit for a few minutes, checks your thermostat, and tells you, "Everything looks okay." Any contractor worth their salt will test -- and if they don't, find another contractor. For superior heating system service, contact Excellent Air Conditioning and Heating Services, Inc. today! Our job is to make sure your equipment keeps your family cool and comfortable during the summer. Each summer brings its own set of challenges: increasingly high temperatures, heat waves, and brutal record-breaking temperatures have become commonplace in past years. Excellent Air will ensure that your home's air conditioning equipment is up-to-date and functioning at the proper level. With proper service, your Long Island air conditioning will operate at peak performance; this, in turn, yields less unit run time. This saves your unit from undue stress on the system's main components, which means you'll save on your electricity bill. In addition to proper maintenance, high-efficiency systems are another way to save on your energy bill. If you're considering upgrading your old, inefficient system, give us a call and we will discuss your options. When the weather heats up, it's imperative to check your air conditioning to make certain it will work properly. Excellent Air Conditioning & Heating Services, Inc. provides expert cooling services to the areas of Manhattan, Brooklyn, Queens, Nassau and Suffolk County, NY. To ensure year 'round comfort and satisfaction, we service all makes and models of cooling systems. Contact us today to learn more about our residential air conditioning Long Island services! Our commitment to service goes above and beyond the norm, as our emergency services show. If the heating or cooling systems in your home malfunction in any way, we will come out to your home and service them as soon as possible. Excellent Air understands how imperative your home's temperature is to your family's continued well-being. 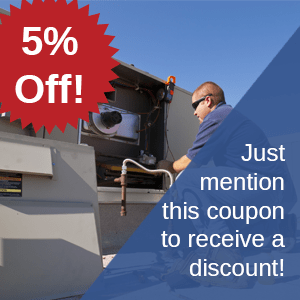 For Air Conditioning Long Island services, contact Excellent Air Conditioning and Heating Services for the foremost HVAC experts in New York City and Queens. Call 631-427-0677.